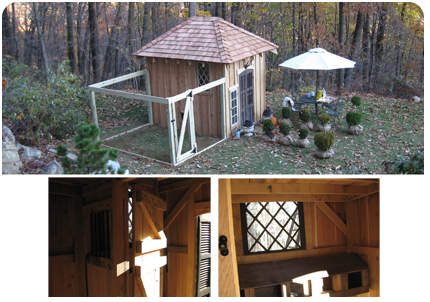 Schuster Landscaping is diversified in woodworking projects such as this Deluxe Chicken Coop. No small task, this coop is more than "just for the birds!" From the ground up, this coop has features such as antique windows, 100% rough-cut hand-built local lumber, a mezzanine roof top, and hand chiseled joints. A full 25 photo presentation of this Deluxe Chicken Coop can be seen here in our gallery. Josh regularly takes his talents inside the during winter months, completing hardwood flooring projects for residential and commercial clients.